Before we start talking about figures let me explain a little thing: we try to make the most of our cash. What does it mean? We don’t book hotels, flights or tours before doing a lot of research. We search online on sites like Hotels Combined, Booking.com, Expedia and Skyscanner. Friends are also a good source of info on how to live like a local. In our how we will survive travel plan we can spend $50 (US dollars) per day, per person. And we are doing well, especially around Europe where life and travel costs tend to be higher. Now you are going to discover ” How Much Does it Cost to Travel in Portugal ?” in a Love and Road style! In both cities we got a private room in shared apartment/house – Airbnb. Book your first room through this link and get 25 dollars discount! 😉 The final figure of how much does it cost to travel in Portugal will vary a lot depending on which type of accommodation you choose. If you stay in shared places like Airbnb you can keep your costs low. Have a look at Hotels Combined before booking a hotel. Great offers on this site! Here is everything we bought in a supermarket or street markets. At the places we stayed we could use the kitchen, so our breakfast and sometimes lunch were prepared at home. This is a great way to save money and eat well. The market costs also include the toiletries and cleaning products we bought. We always carry in our bag: water, fruit and sometimes a sandwich. That helps a lot to cut the costs of eating out. Also, we try to avoid the tourist restaurants, we search for local (delicious & cheap) places. Another money saver tip: Free Walking Tours! In every city we visit we always try to take a walking tour. It´s cheap, you connect with other travellers and you learn about the city and the tourist attractions. After the tour, you know which ones are worth to pay to get in and the ones that have free entrance. Also have a look on the attraction official website, sometimes they have special fees or free days to visit. That´s how we save a lot! Being smart makes your money stretches what means you can travel more or give yourself some treats. In Porto, for example, we found a boat trip that included entrance to three wineries (with a free glass of wine in each one), Happy Days!!! We did some awesome posts about the cities we visited in Portugal. What to do, see and eat, for sure you will enjoy reading them! Who has friends has it all! Our Portuguese fellows did a pretty good job taking us to nice bars and clubs. To save some bucks avoid the tourist traps nightclubs and head to local bars and entrance free places. Bairro Alto in Portugal is the paradise for good bars, nice people and tons of fun! For sure these little spending doesn’t make a big difference in the total of ” How Much Does it Cost to Travel in Portugal ?”, but if you think in a long-term, this small amount can become a substantial figure in one year trip. That´s why we take note of everything! € 1.188,27 > This amount is for two people in a 16 days trip. In May/2014 it was $ 813,97 (USD) per person. The cost of our trip to Portugal was $ 50,87 (USD) per Person / per Day. We did it!! Great food, awesome places, comfy and clean rooms and some party without bankrupted! Now when I say you don’t need to be rich to travel the world, you must believe me! It´s a matter of mindset and priorities and learn how to save money to travel! Do you have any secret on how to travel on a budget? Or you finish your travels with a big credit card bill? 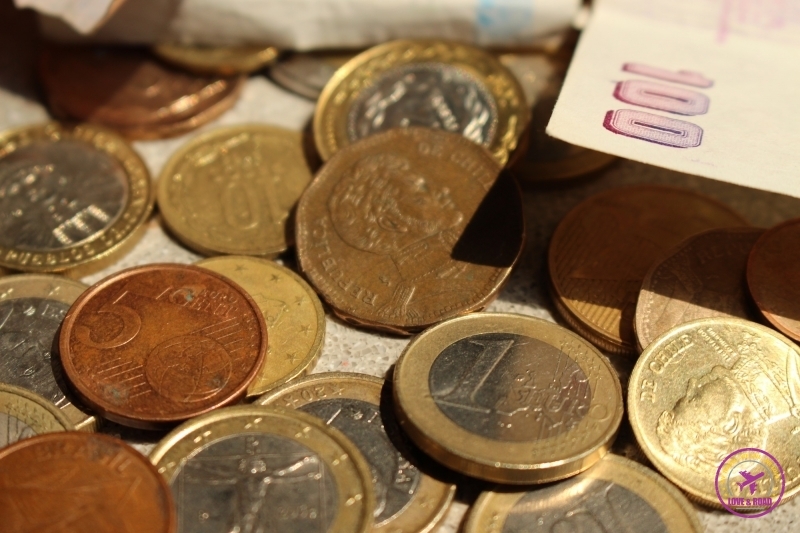 Did you have a clue of how much does it cost to travel in Portugal? Sounds good! Be it Portugal or any other destination, the same rule applies for all – you need to find affordable options! At first instance, everything looks expensive, but as you wait a while, look around, ask locals, research on internet, things begin to look so much better. That’s so true! Local advice are the best!! You have to get out from the tourist path to really enjoy the local culture, especially food! Happy Travels! And thanks for stopping by!! Two weeks traveling around Portugal!! That´s amazing!! Great idea for a series because it is something that I am always researching. Like you I am a budget traveller, and want to enjoy the experience with breaking the bank. Totally agree on the free walking tours. Very soon we will post our costs breakdown for Spain! I’m definitely not a budget traveler, but I really enjoyed reading how you’ve spelled out your budget and spending. I’ve not yet been to Portugal, but certainly have plans to get there. Safe travels! Portugal was the second country we visited in our Love & Road Project! On that moment we didn’t know exactly how we would manage to keep our budget under control, but turned out be easier than we expected! And you definitely should visit Portugal, it´s a beautiful country. The chocolate is not their best food asset but the wine and seafood make up for it! I’ve only recently started adding a few the costs throughout our travels as I thought it may be of interest to some readers, but this is taking it to the next level! As we have a tight travel budget we have to keep control of every penny… And believe or not, it´s not that difficult! Great advice! I definitely recommend airbnb for people who want to travel on a budget but don’t want to share a room in a hostel. We traveled for six months around Europe last year and just booked accommodation through Airbnb. It´s cheaper than hotels and I love the idea to have to share the kitchen with some local people to chat on breakfast and dinner… For us, renting a room is someone´s house is an opportunity to learn about the city and people! My cousin had studied in Portugal and I really regret I didn’t come to visit him. Damn! I can´t believe you missed the opportunity to visit Portugal!! Awesome post! I haven’t been to Portugal—but planning to! So this post of yours is very, very helpful! I may have enough money than before, but it’s always a habit of mine to budget things. So it’s nice to get a feel of this place already given your calculations. Portugal is a great country and definitely one of the cheapest on western side. Keep the budget and have fun is pretty easy around there! Am planning on traveling next month a friend of my in portugal is inviting me over to portugal, what are the thing I need? and how much will he cost? The costs will depend on the style of your trip, how many days and places you gonna visit. The article above can give you some tips about the costs of food and transportation around there. Sounds like a great trip. Planning and budgeting, and it all works out. Air BnB’s are such a good option. Nice to read about: felt I was there! The secret of travelling is to plan well and organize the budget. Doesn’t matter if you a travelling on a low profile or a luxury trip. Save money and spend wisely is always a good option! Thanks for stopping by and glad that you liked the post! HI thanks for your good advice i wanted you to give me some tips about hitchhiking safely if you have any ?? We have never hitchhiked but we used blablacar.com a couple of times and it was great!